You wake up in a bathtub of ice with a surgical incision on your side--but the hospital says you've still got two kidneys! Where do you go for a second opinion? Where else but Dr. Vincent Morrow, the Witch Doctor! Summer's medical horror smash hit returns with a tale of black magic and organ-swapping. And it's a great jumping-on point for new readers, so don't miss out - ask your retailer to preorder a copy for you! 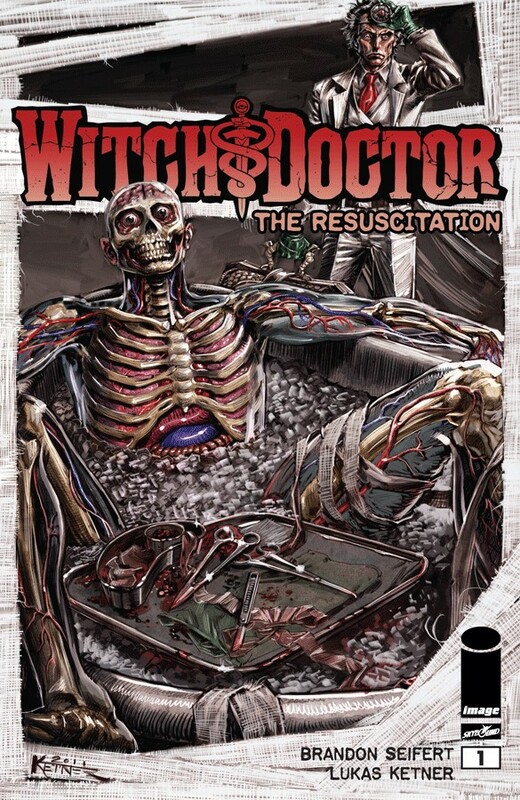 'If you're not checking out WITCH DOCTOR, you need to do so, STAT!' - Ain't It Cool News.